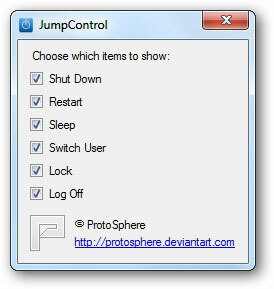 JumpControl is a free portable tool created by ProtoSphere at deviantART that allows you to shutdown, restart, sleep, switch user, lock & log off directly from your taskbar in Windows 7. Download the app and extract the zip archive. 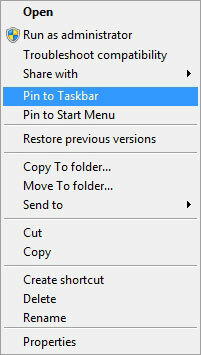 Right-click on the app and select Pin to Taskbar. Select the items that you want to use and close the tool. 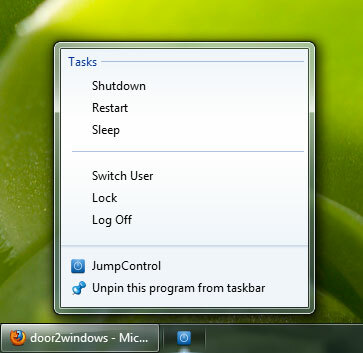 Now whenever you want to shut down, restart, sleep, switch user, lock or log off, just right-click its icon and select the desired option.